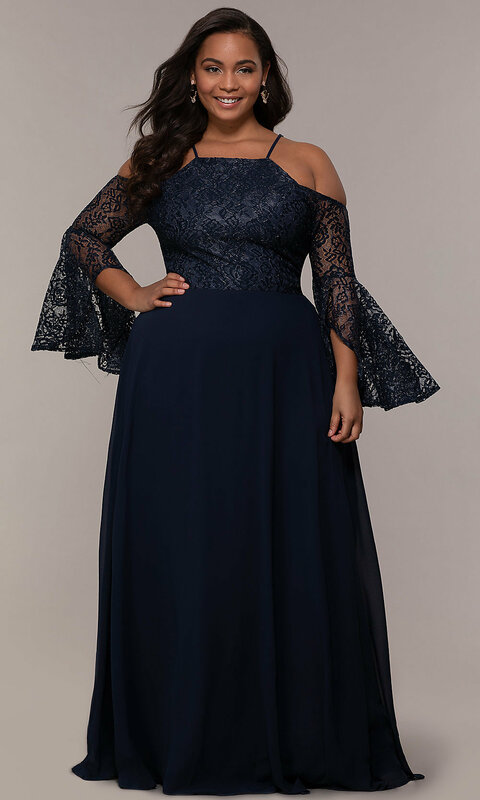 Dreamy in delicate lace and flowing chiffon, this plus-size long formal dress combines figure-flattering style with feminine flair. A trendy cold-shoulder lace bodice tops the elegant evening dress that has thin adjustable spaghetti straps for support. 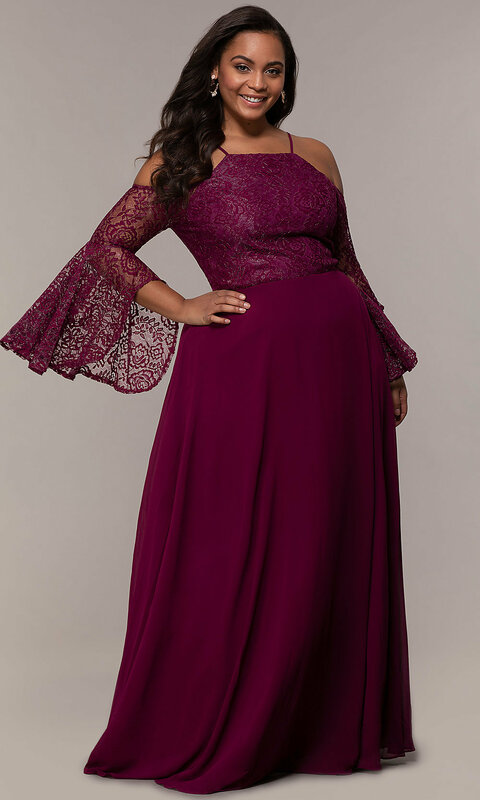 Long split bell sleeves provide a vintage vibe to this plus-size dress as they flare away from the arms for a romantic look. 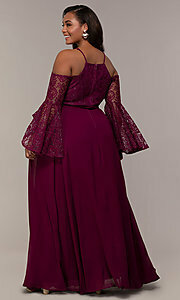 The fully-lined long skirt flows away from the hips before cascading to the floor in layers of silky chiffon. 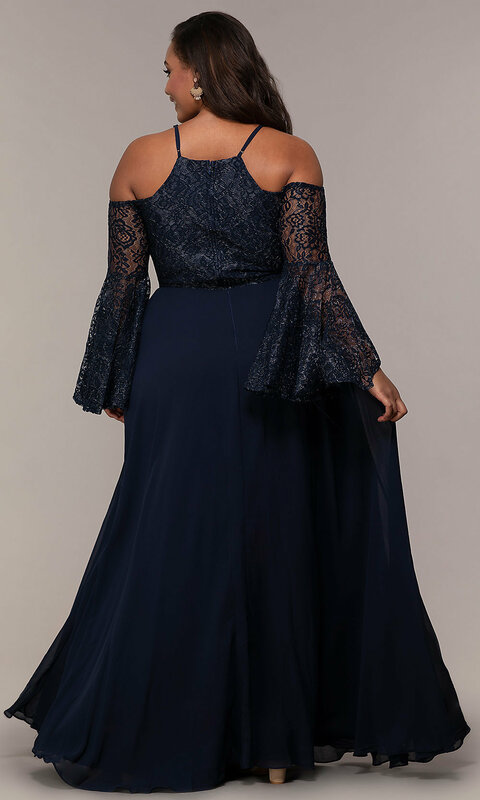 Beautiful, yet affordable, this plus-size long formal dress, under $150, is lovely for prom 2019, a military ball, or another black-tie event where being glamorous is a must.